This tutorial was originally done by me an posted on Skip to My Lou. 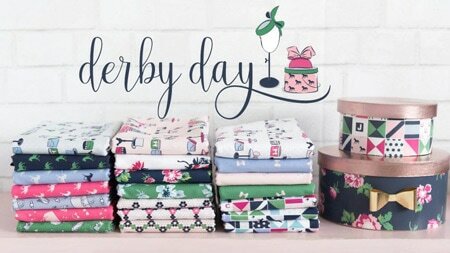 I’m sharing it here incase you missed it- I think it would be a fun Father’s Day gift idea! Hey there! 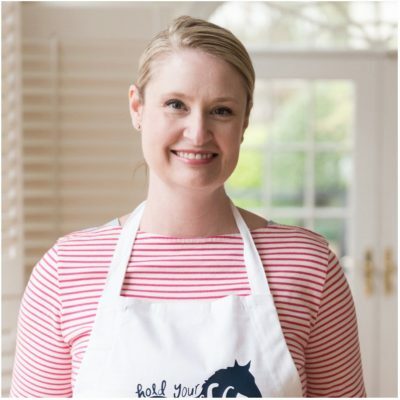 I’m Melissa and I blog over at the Polkadot Chair. 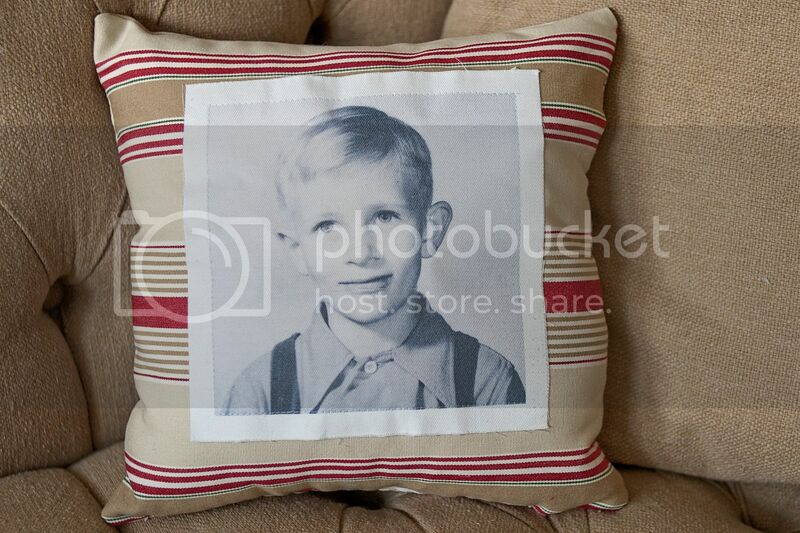 Today I’m excited to be sharing with you how to make this Vintage Photograph pillow. I thought it would be a fun way to remember Dad this Father’s Day. I love to decorate my house with old photos of our ancestors. 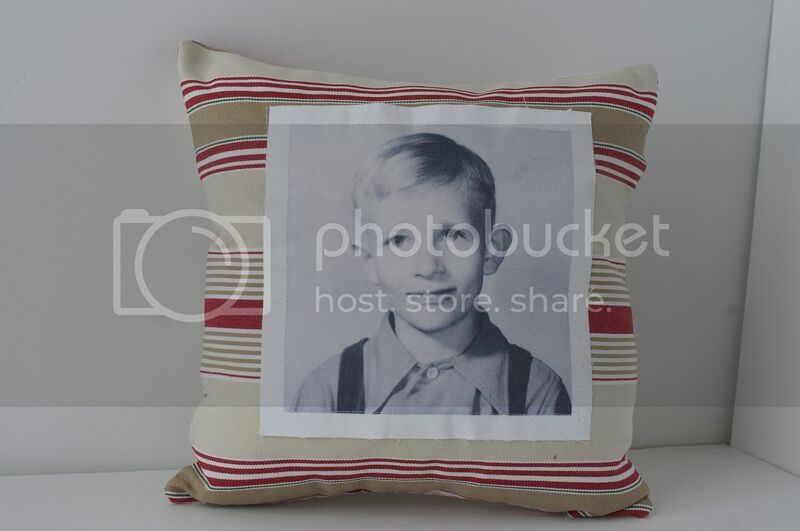 I got the idea to make a pillow out of some of these vintage photographs. 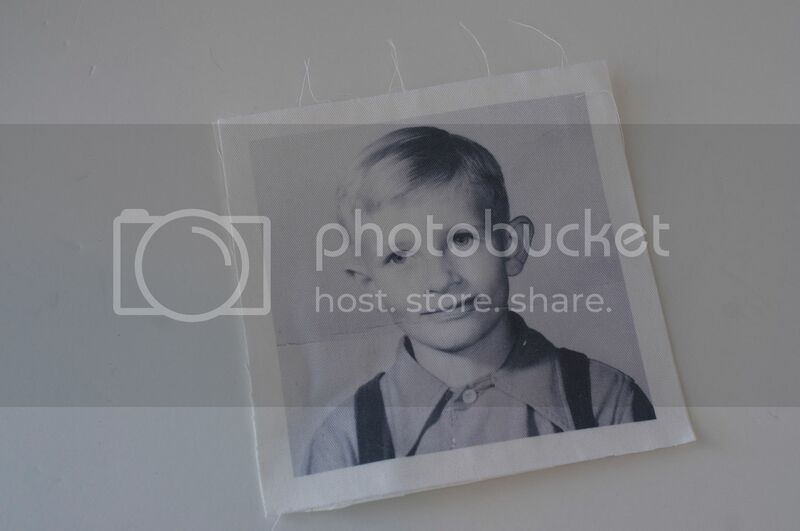 This one is of my Dad as a kid. I’m going to make one of my Mom as a kid next. 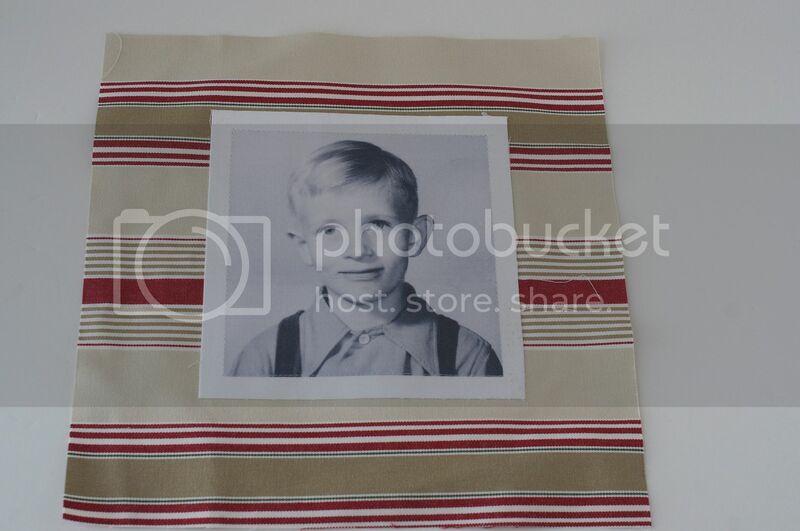 First print your photo onto your printable fabric. 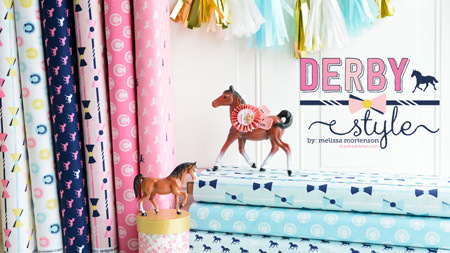 Printable fabric is available at most craft stores. 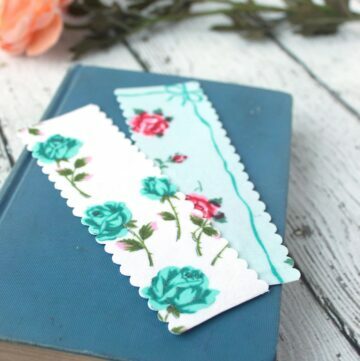 You can buy the fusible or non fusible it doesn’t matter. 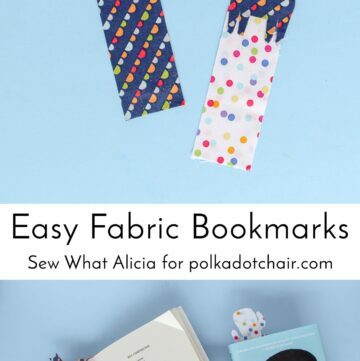 Trim your photo so that you have a 1/2″ of white fabric showing on the edge. Iron a piece of Heat N Bond Lite onto the back of your fabric photo (unless you are using fusible printable fabric, you can skip this step). Lay your photo on to the top of your pillow fabric. If your pillow fabric is showing through your photo, place a piece of white fabric behind your photo to block out the fabric. Iron the fabric photo onto your pillow or the white scrap of fabric. 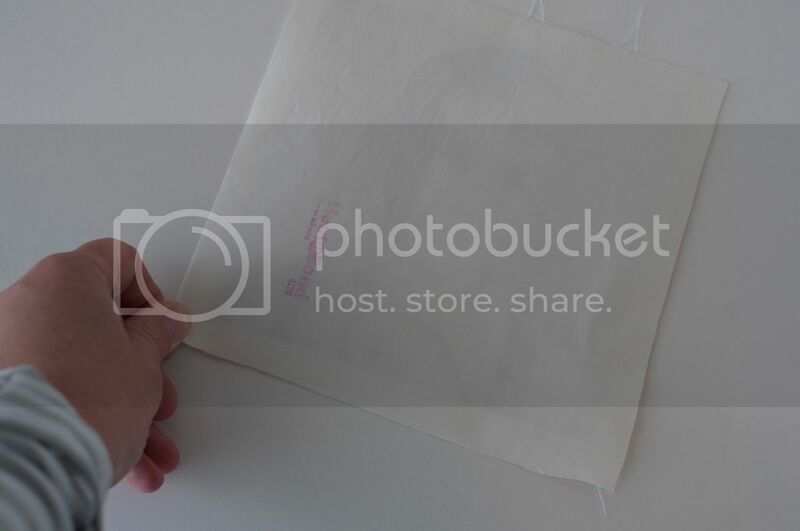 (if you are using a white a white piece of fabric, you will need to place another piece of heat n bond lite onto the back of the white fabric, so you can iron your photo onto your pillow). 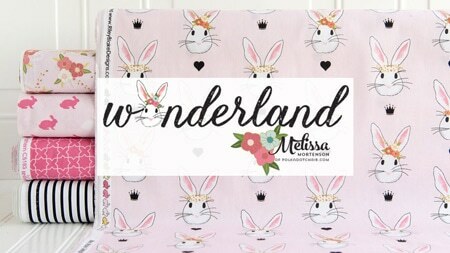 Iron your photo onto the center of one of your 12×12 fabric pieces. Stitch around the edge of the photo to secure it. 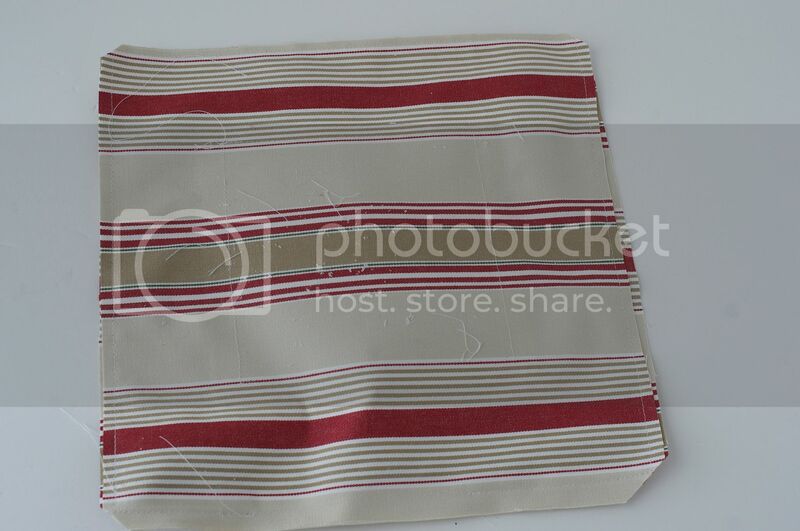 Lay your 2nd piece of 12×12 fabric onto the top of your fabric with the photo on it, right sides together. 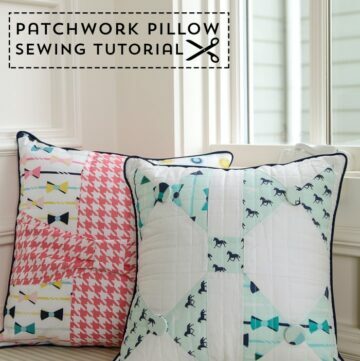 Sew around 3 sides, leaving one open to insert your pillow form. 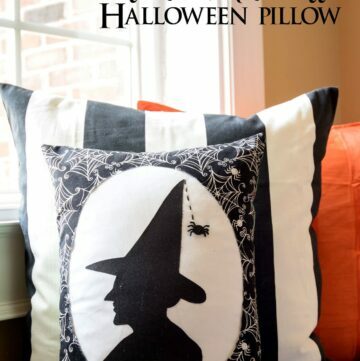 Insert pillow form and hand stitch opening closed. What an awesome gift idea and thanks for the tutorial! Thanks for the turorial, a wonderful idea. I have did this so many times even made shirts, bags you name it. Always and I do mean always a huge hit with the receiver! 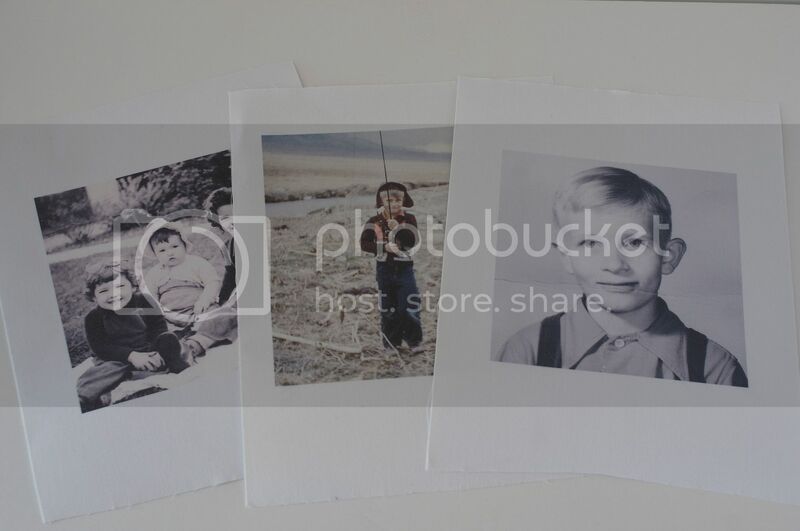 You can’t go wrong with this or another idea to give as a gift especially with grand kids photos. 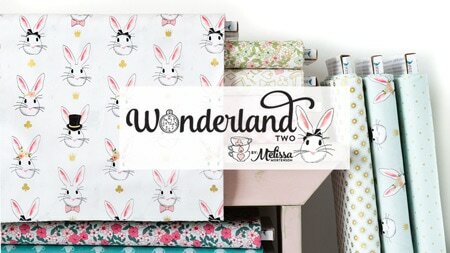 How do you put a picture on to the fabric do you need a special printer, special kind of computer ?? ?